The Canadian Senate during a parliamentary break. Among Prime Minister Justin Trudeau’s many campaign promises, the legalization of marijuana and Senate reform were some of the most popular issues for voters. Both of these issues were discussed, debated, and deliberated upon for months. However, this past week these election issues were brought to the forefront simultaneously in the Senate’s latest vote on Bill C-45. This bill is the Liberal government’s attempt at legislating the legalization of cannabis. The controversy surrounding this vote questioned the Senate’s legitimacy as an unelected body – and Canadian voters would be right to think twice about what this vote could mean for future action by the Red Chamber. Last Thursday, the Senate voted 44 to 29 to pass Bill C-45. Although the bill passed by a comfortable margin, the weeks leading up to this vote were marked by numerous threats of a negative vote. Conservative Senators especially were in opposition of the bill. Without Bill C-45 passing the Senate, the Trudeau government would have been forced to renege on their promise of marijuana legalization by this coming summer. The 33 Senators who are affiliated with the caucus of the Conservative Party of Canada promised to vote in a block against the bill and were hoping to side with several of the newly appointed independent Senators. Because the Senate currently counts 93 sitting members, the Conservatives alone would not be able to block the bill. Conservative Senators instead had to rely on some of the 43 independent Senators siding with them. Clearly, the Conservatives were unsuccessful. In a concerning move, all of the new Senators appointed on the advice of Trudeau voted with the Liberal caucus to pass Bill C-45 – just as though they were also Liberal Senators. This uniformity of opinion is cause for concern that perhaps the Trudeau government’s new Senate appointment process is not as independent and non-partisan as it was marketed to be. The Trudeau government addressed its campaign promise of reforming the Senate by overhauling the appointment process by which Senators come to sit in Canada’s Upper House. Instead of simply being appointed on the advice of the Prime Minister, senatorial hopefuls must now be screened by an independent advisory board on a non-partisan basis. The hope was that this reformed appointment process would bring more legitimacy to the Senate because Senators would no longer have any partisan ties. However, if the passing of Bill C-45 is to be typical of votes to come, then it seems as though not much has changed in practice in the Red Chamber. All but one of the independent Senators who voted on Thursday sided with the Liberal caucus. The only independent dissenter was Senator Mike Duffy. Trudeau even ominously warned the Senate not to block the legalization of recreation marijuana. Saying that Bill C-45 clearly “responds first to an electoral promise that we made very clearly during the election campaign and for which Canadians voted”, Trudeau made it abundantly clear that this bill should pass the Senate. What this senatorial vote on Bill C-45 shows is that despite election promises of a reformed Upper House, the Trudeau government’s new appointment process has only reiterated the opinion that the Senate is perhaps illegitimate. Some applauded Trudeau’s new appointment process as a creative alternative to the tricky constitutional reform that would be required for major senatorial reform or abolishment. However, the benefits of this process do not outweigh the costs. Despite attempts at creating a culture of independent voting in the Upper House, the Trudeau-appointed Senators have continued to be too deferential to the federal government. The Senate then fails at its original intent of providing regional representation in the Canadian legislature. Instead of advocating for the interests of their respective regions, the cannabis bill vote showed that Senators continue to bend to the will of the federal government. This indisputably partisan Senate does not serve its democratic purpose. And so, the Trudeau government’s promises of an independent and more legitimate Senate have not been kept. 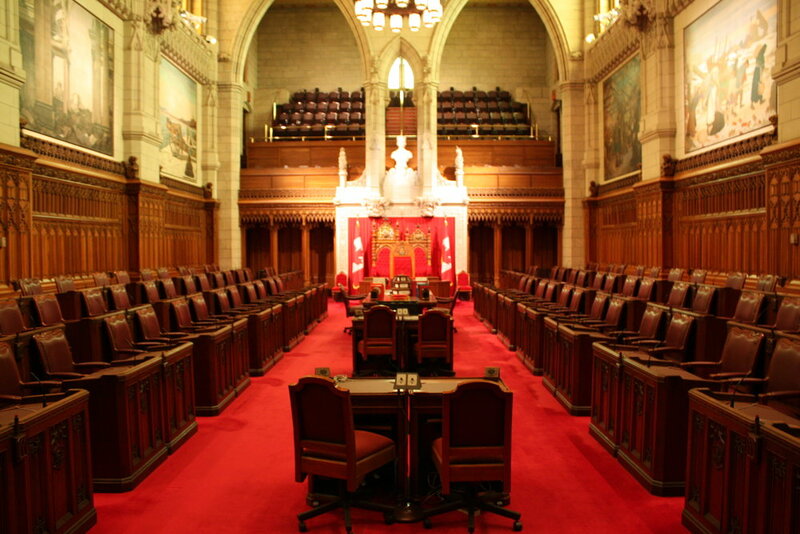 With each of the Trudeau-appointed Senators voting in accordance with the Prime Minister’s wishes, Senate reform in Canada still leaves a lot to be desired. For now, the most successful of Trudeau’s campaign promises seems to be the legalization of recreational marijuana – thanks, in part, to Trudeau’s friends in the Senate.